Where Can I Download Sage 100 ERP (fka MAS90 or MAS200) version 2013? You are here: Home / Sage 100 ERP / Where Can I Download Sage 100 ERP (fka MAS90 or MAS200) version 2013? Sage has just turned on their landing page for the new release of Sage 100 ERP 2013. This release of Sage 100 ERP 2013 is available entirely by download. There are no disks sent by mail. Luckily the process for downloading the 2.29 GB file is very simple (see instructions below) and takes under an hour (depending upon your connection speed). Once downloaded you will have a single self-extracting EXE file which when clicked creates a folder holding the entire installation disk (including Crystal Reports). Separate downloads are needed if you use Sage CRM or Sage Intelligence reporting. 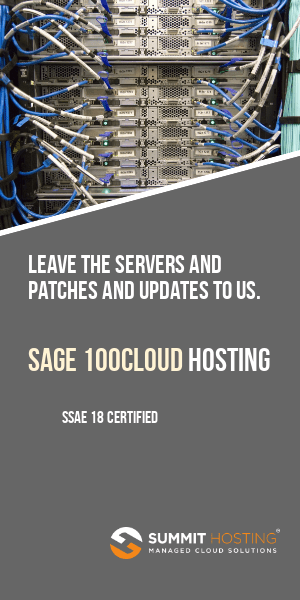 Once downloaded you can install your upgrade (we strongly recommend consulting your Sage business partner first) from the source files on your server. Schulz Consulting / DSD Business Systems customers should not worry about downloading the file as we’ve already secured copies and will transfer this file (as well as all other files needed to upgrade) onto your servers via the use of Dropbox which will synchronize the files overnight for you. Visual Process Flows – Menu “maps” make navigating the system easier than ever. Sage Exchange integration for credit cards now allows for use of credit card swipers (Important: Talk to your partner about the conversion process as it may be more time consuming if you have many years of credit card history. Also please recall that PC Charge is no longer supported on Sage 100 ERP 2013). Customers and vendors may now be designated as inactive. Cleared checks from Bank Reconciliation now show up in Account Payable vendor maintenance. Multiple ERP companies can access a single Sage CRM database. Sage 100 ERP customers on a Business Care plan can download your copy by logging on to the Customer Portal, and then clicking on www.Sage100ERP.com/download2013. Before you download, Sage recommends that you check with your certified solution provider to assist with your upgrade. Sage 100 ERP certified Business Partners can download your copy by logging onto the Partner Portal, and then clicking on www.Sage100ERP.com/download2013. Need help understanding your upgrade options? Contact Us.